NOTE: Offer has ended. Redemption form submissions MUST be postmarked NO LATER than November 30, 2018 to qualify. 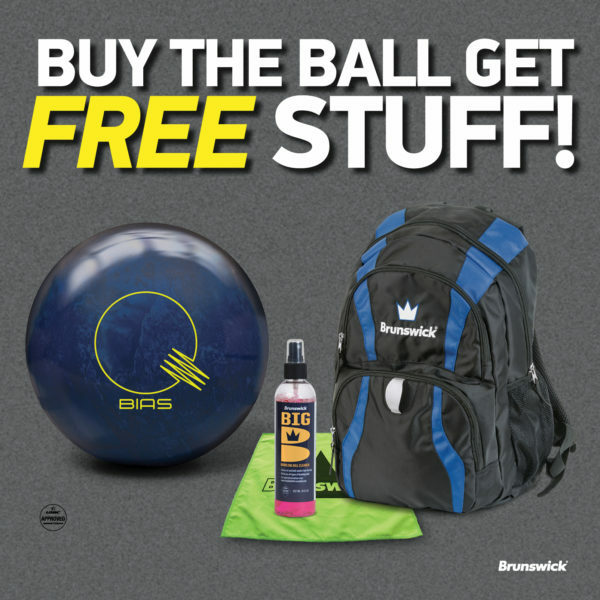 Purchase a Quantum Bias™ bowling ball and choose to receive either one Free Quantum Triple Tote Bag (while supplies last) or one FREE Crown Backpack including a Micro-Suede Towel and 8 oz. Big B Cleaner. Purchase must be made on or before October 31, 2018. Offer valid in USA only. Ask your Pro Shop for details.